The HPT Sports Medicine team consists of physical therapists and a certified athletic trainer, who work closely with our local primary care physicians and orthopaedic surgeons in order to treat athletes of all ages. Our sub-specialized physical therapists are certified in spine injury management, hand rehabilitation, sports training, manual therapy and the Graston technique. Our therapists and athletic trainers have been providing this service to the Tri-State community for over thirty years. In that time, we have cared for numerous high school and college (Division I and lower level) athletes as well as several “well-known” professional athletes from a wide range of sports. Mark Taylor is a native of Huntington and a 1977 graduate of Marshall University. He received his Physical Therapy degree from West Virginia University in 1982. In 2013, Mark will celebrate 30 years of service at HPT and in the Huntington community. Mark’s scope of practice includes orthopedic outpatients of all types and ages. He specializes in lower extremity rehabilitation of the knee including ACL reconstruction, Total Knee Replacement as well as other surgical and non-surgical knee injuries. Mark has vast experience in knee brace measurement and custom fitting for a variety of conditions. 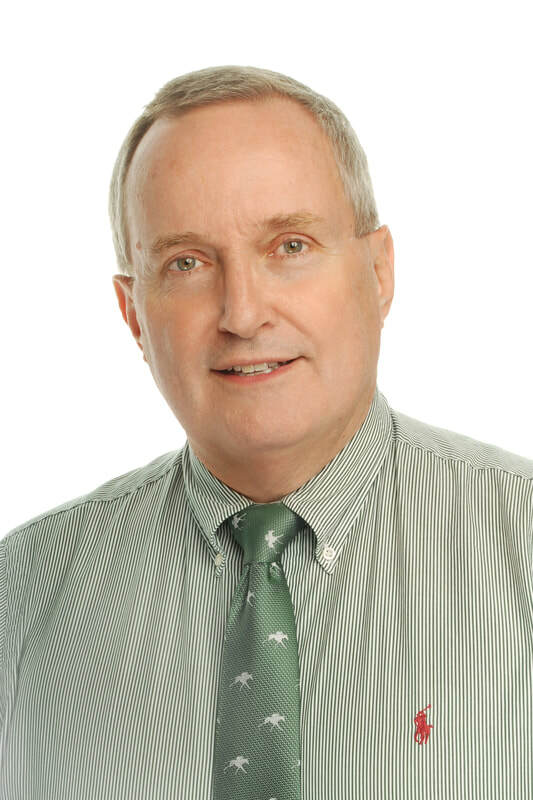 His area of practice also includes over 30 years of experience in treating a variety of sports related injuries and their subsequent rehabilitation and return to play criteria. His experience has allowed him to provide sports outreach services to area middle, and high schools, as well as Marshall University and area professional teams including the Huntington Blizzard and Locomotives to name a few. Mark currently continues to provide treatment and consulting services to Marshall University. In 2006 Mark was elected to the Marshall University Sports Medicine Hall of Fame. Mark takes great pleasure in seeing his patients return to full activities of work and leisure following rehabilitation. Mark’s areas of interest include his family (wife and two daughters) and a variety sports. He is involved in thoroughbred breeding and racing as a hobby. John Oxley, son of Sally Oxley, has been with HPT since 2006. He returned to Huntington after obtaining his Doctorate in Physical Therapy from the Virginia Commonwealth University at the Medical College of Virginia Campus. 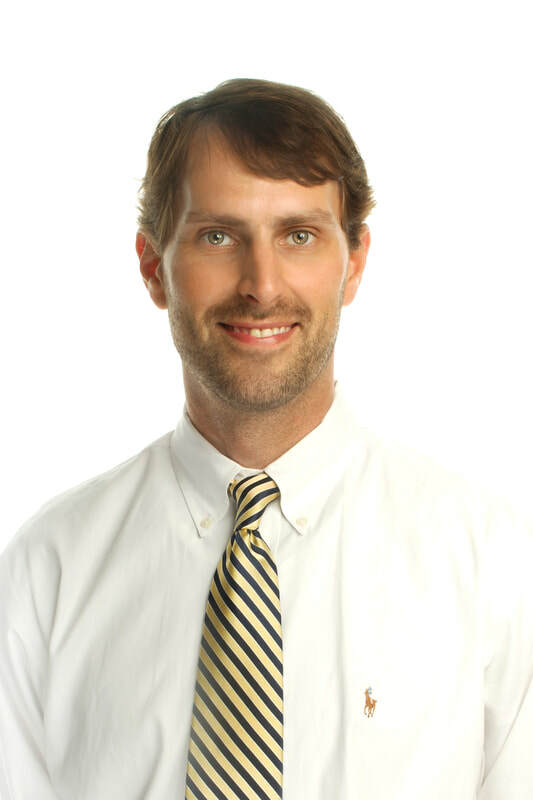 In 2013, John became the clinical director at Huntington Physical Therapy. John is directing his rehab focus on sports medicine with a special emphasis on the shoulder and spine. He frequently treats patients with shoulder impairments ranging from rotator cuff repair, labral repair, scapular dyskinesis, to those with rotator cuff tears hoping to avoid surgery. John also has a special interest in those with chronic back and neck pain focusing on those patients that have failed other medical interventions and are still suffering from consistent pain. John’s undergraduate degree came from the University of Richmond where he was a 2 time captain of the Men’s Tennis team. The experience of playing college tennis became the driving force for an interest in overhead-sports related injuries. John developed an understanding of the problems and injuries that these athletes often endure. Other areas of interest include recreational tennis, managing the HIT Center, and spending time with his wife and kids. Sally Oxley has practiced physical therapy in Huntington for 38 years. 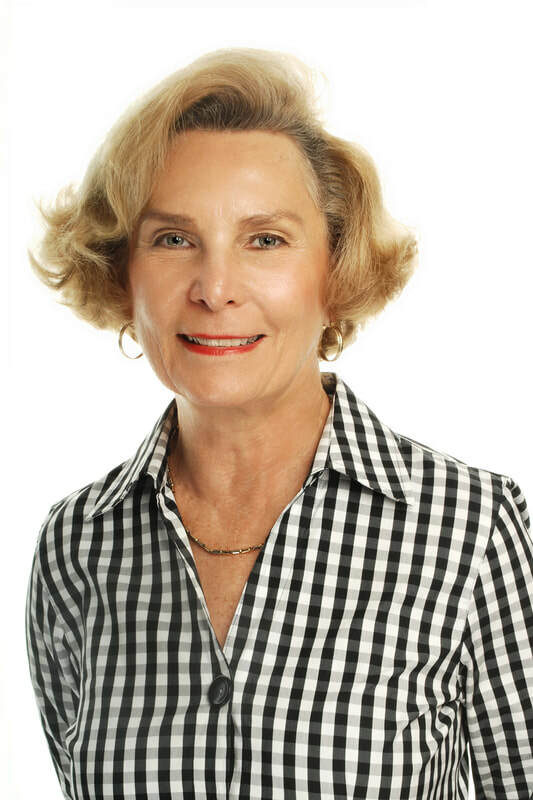 She has been in private practice since founding Huntington Physical Therapy in 1982. The practice has grown from a staff of 3 to 25 in the last 30 years. For the past 38 years, Sally has been developing her skills in the areas of Orthopedic Physical Therapy and Hand Therapy, receiving her certification as a Certified Hand Therapist in 1995 and her certification as an Orthopedic Clinical Specialist in 2002. 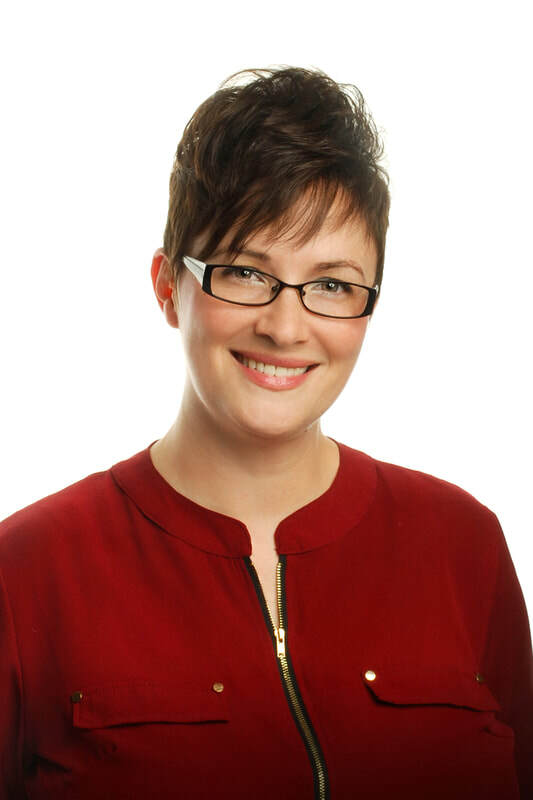 Her abilities as a Certified Hand Therapist have grown through a close working relationship with local hand surgeons as well as hand surgeons outside of West Virginia that refer to her. 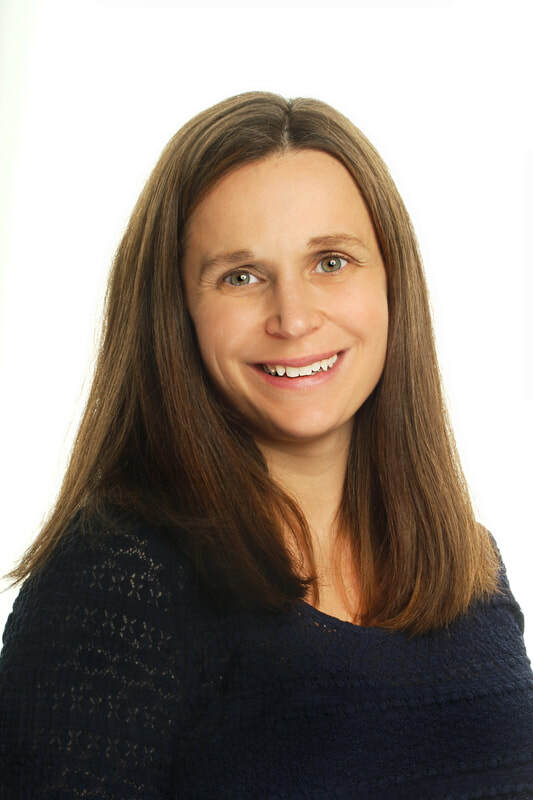 Sally also enjoys treating patients with spine problems and in 2005 received her certification in Mechanical Diagnosis and Therapy, a system of evaluation and treatment developed by Robin McKenzie, a physiotherapist in New Zealand. Sally spent 10 years on the West Virginia Physical Therapy Licensing Board, eight years as chairman. She is also on the Board of the West Virginia Physical Therapy Association, First Sentry Bank and Chair of the Cabell Huntington Board of Health. Aleacha Wallington obtained her Doctorate in Physical Therapy from West Virginia University in 2010. She is originally from Greenbrier Co., WV and moved to the Huntington area in 2010. She obtained her certification in hand therapy in 2016. She is also a LSVT BIG certified therapist which is an effective treatment option for individuals with Parkinson’s disease. Aleacha enjoys treating patients with various orthopedic and neurological conditions including surgical and non-surgical hand/elbow conditions, low back and neck pain, stroke, and Parkinson’s disease. Her favorite part of the job is watching patients regain their function and return to recreational activities. On weekends she enjoys spending time with her husband and children and participating in WV Irish Road Bowling at many of our beautiful state parks and various towns throughout WV. Orthopedic Clinical Specialist exam at the end of the 18-month program. playing with her dogs, recreational soccer games, and going to concerts/festivals. Kelly obtained her Doctorate in Physical Therapy from The University of Dayton in May of 2011. She came to HPT in July of that year. Kelly enjoys treating patients with various orthopedic conditions but has a special interest in the foot and ankle and its effect on the gait cycle. She performs video gait analysis on athletes of all levels who suffer from running and walking related injuries. She also performs casting and fitting of custom orthotics and fitting of over-the-counter pre-fabricated orthotics. Kelly’s interests include outdoor adventures of any sort including hiking, biking, kayaking, trail running, and water sports. She also enjoys competing in marathons, half marathons and triathlons. Kelly currently lives in Barboursville, WV and was married in May of 2013. Staci Elmer is a Native of Ashland, KY. She attended the University of the Cumberlands where she swam on the women’s varsity swim team. She received her BS in Public Health in 2009. Staci then attended Mountwest Community and Technical College and graduated with an AAS in Physical Therapist Assistant in 2013. 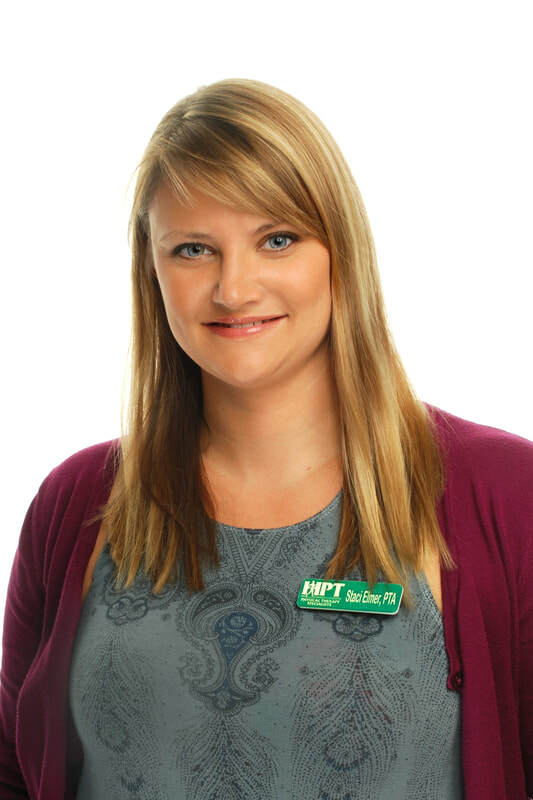 She has been with HPT since December of 2013. The patients Staci treats most often are sports related knee injuries and knee replacements. In her free time, she enjoys spending time with daughter and husband, along with other friends and family, swimming, boating, and any other outdoor activities such as hunting or camping. Deana Miller is a native of Spencer, WV. She owned and operated Scenic Portraits, a photography studio for over 10 years. This provided the flexibility to make her own schedule as well as stay home with her small children. Her husband received a promising job opportunity in Putnam County which afforded her the option to further her education and become a PTA. She was drawn to the physical therapy field after years of watching how exercise helped her father manage pain following a motor vehicle accident which amputated his right arm. Deana graduated from Mountwest Community and Technical College in July 2017 with an AAS as a Physical Therapist Assistant. She received her LSVT BIG certification that same month for treatment of Parkinson’s. The patients she often treats include wrist and hand injuries, neurological conditions, work and sport related injuries. Deana currently resides in Hurricane with her husband and two daughters. Her interests include anything that involves water, whether it is the beach, jet skiing, water parks or just enjoying the pool in the backyard. She still enjoys photographing families when her schedule permits. Her family regularly enters 5k runs together and loves hiking at local and state parks. Eric was born in Huntington and lived here for 22 years before moving across the Ohio River to South Point. He received his HS diploma from Huntington High in 1999 and then attended Marshall University. He graduated in 2006 with an Associates degree in Physical Therapy. 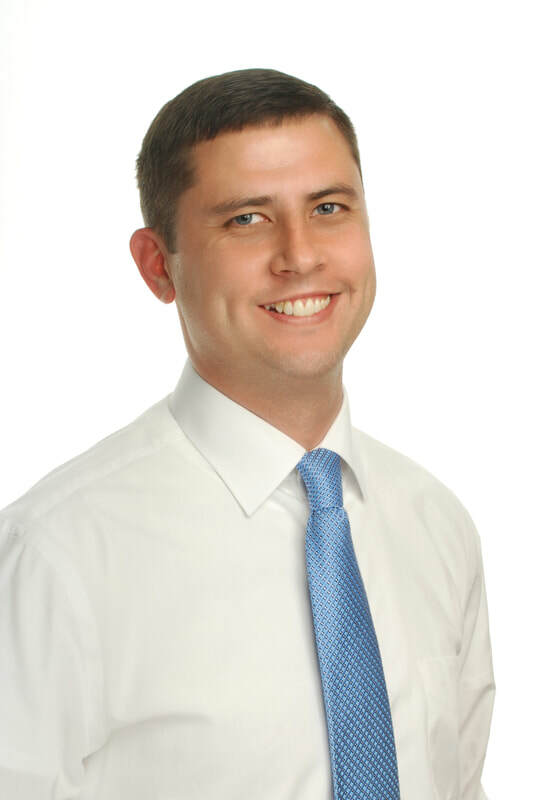 He is currently licensed as a Physical Therapist Assistant through the WV Board of Physical Therapy and has been with HPT since September of 2006. The patients he most often treats include shoulder impairments, total joint replacements, as well as other orthopedic and sports injuries. Eric’s outside work activities include camping, sports, coaching youth soccer, and spending time with his two young children. Charletta was the first Aide employed with HPT and has been here for over 25 yrs. In addition to her duties as an aide, she also helps maintain HPT’s inventory of modality and patient care supplies. Charletta has an Associates degree as a Medical Assistant. Her hobbies include quilting and spending time with her family. Charletta lives in Huntington with her husband Brian and has two grown children and three grandchildren. She is a dedicated employee and always has a warm smile for our patients.